I completed my undergraduate degree at the University of California, Davis with a major in Nutrition and physiology. After receiving my Masters of science in Physical Therapy from the University of Miami, FL, I joined the acute care rehabilitation team at Orlando Regional Medical Center (ORMC). There I explored the vast specialties in the field of Physical Therapy including: neurological rehab, orthopedic rehab, cardiac rehab, wound care, and burn management. I served as team leader for the inpatient orthopedic unit at ORMC prior to accepting the position of Department of Rehabilitation Manager at St. Cloud Hospital, part of Orlando Regional Healthcare Systems. Subsequently, I joined Beverly Health and Rehabilitation as Director of Rehabilitation where I directed a team of Physical Therapists, Occupational Therapists, and Speech Pathologists in an inpatient and outpatient setting. After taking time off to be home with my two daughters, I decided to re-enter my field by opening an outpatient private practice. Since then I have obtained my Doctor of Physical Therapy degree from the University of St. Augustine and my MBA from FGCU. Additionally, I have been able to merge my love for horses and passion for my profession by becoming a Certified Equine Rehabilitation Therapist through the Animal Rehab Institute in Wellington, FL. I am blessed and proud to be an Adjunct Professor at FGCU. While my Physical Therapy education serves as the foundation to my approach in the evaluation, treatment, and management of various conditions, it is my 24 years of hands-on experience that guide my clinical decision making. Dr. Niki, Doctor of Physical Therapy, is a Certified Graston Technique provider, Certified Kinesio Taping Practitioner, Certified Balanced-Based Torso-Weighting Therapist, and Myokinesthetic Trained. 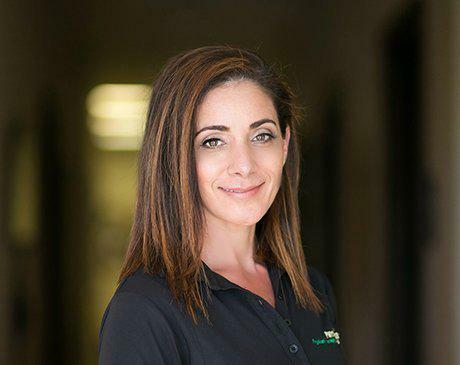 She is one of only two physical therapists in the State of Florida to have received Certificate of Achievement in Pregnancy and Postpartum Physical Therapy (CAPP) through the American Physical Therapy Association (APTA) Section on Women's Health. She is also a Certified American Institute of Balance provider and has received her Certificate of Achievement for Cervicogenic Dizziness, as well as Vestibular Rehabilitation, by the APTA.